The Northwest Territories is a northern territory of Canada. On April 1, 1999 Nunavut was separated from the territory, the latest of several divisions. When it was created the NWT included nearly all of modern Canada west of the Great Lakes (excluding British Columbia). 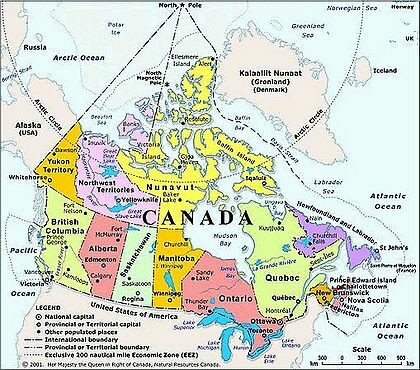 The Territory shares a southern border with British Columbia, Alberta and Saskatchewan as well as an eastern border with the Yukon Territory and a western border with Nunavut. The Capital is Yellowknife, and it has vast, untapped resources in lakes and rivers as well as mineral and oil wealth below its surface. This page was last modified on 4 March 2017, at 15:45.